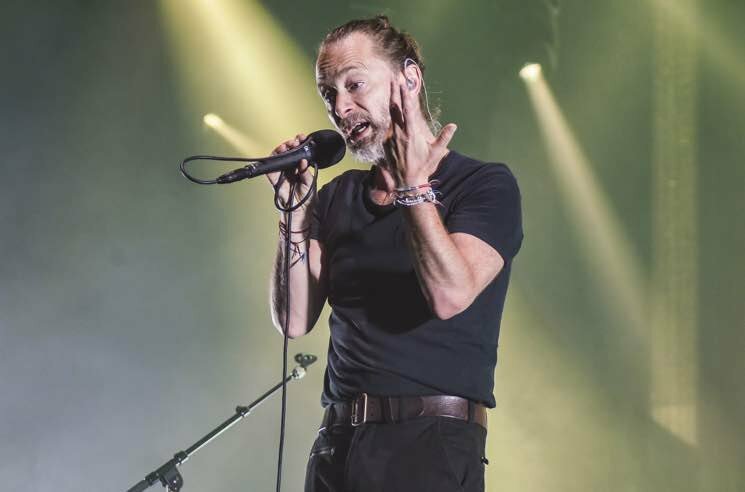 Radiohead frontman Thom Yorke took to Twitter yesterday (February 7) to air his grievances with British Prime Minister Theresa May, comparing the ongoing Brexit ordeal to "the early days of the Third Reich." Yorke accused the PM of purposefully intimidating citizens and parliament, and putting millions of lives in jeopardy "as a bargaining tool" — an act he described as "worthy of the early days of the Third Reich." After drawing comparisons between May's Brexit policy and Nazi Germany, Yorke continued, "Nobody voted for you to drive this red bus over a cliff with the passengers screaming in the back." He condemned her use of fear as a weapon and then urged May to "stop the bus… now." Read his fiery commentary in full below. May is slated to meet with Irish Prime Minister Leo Varadkar later today to further negotiate the issue of the Irish backstop. May is seeking changes to the backstop agreement (which aims to avoid the return of a hard border between Ireland and Northern Ireland); Varadkar and the EU have rejected further changes to the policy. The U.K. is scheduled to leave the European Union by March 29.